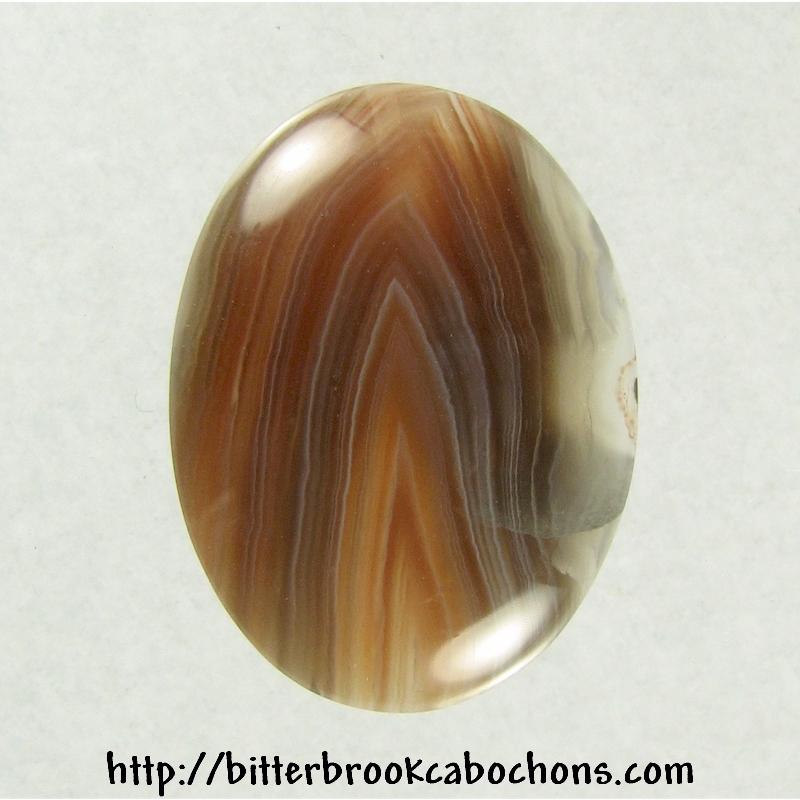 This little Botswana Agate cabochon has a nice chevron pattern. It also has a stable fracture at lower right just above the light reflection. You can feel it with a fingernail but it is stable and a natural part of the rock. Dimensions: 30mm x 22.5mm x 5mm. Weight: 27.40 carats.